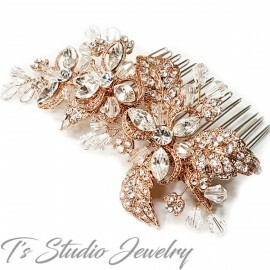 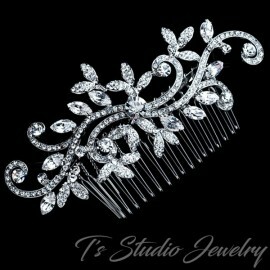 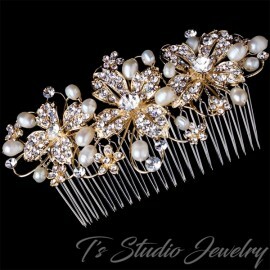 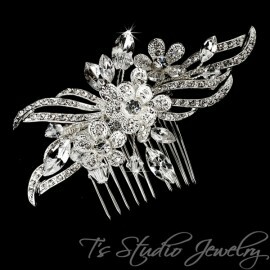 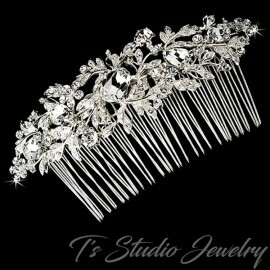 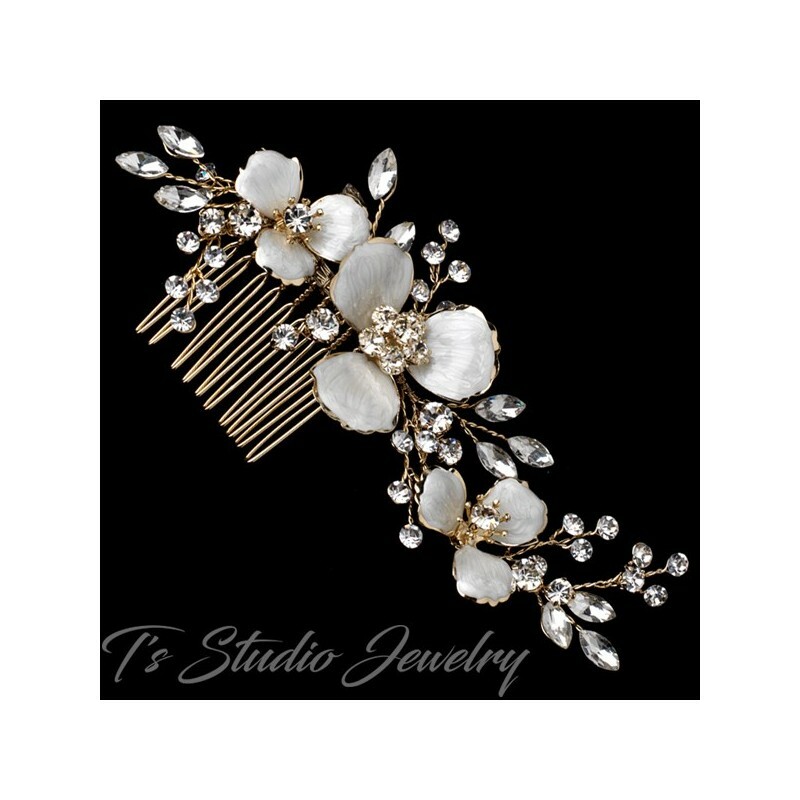 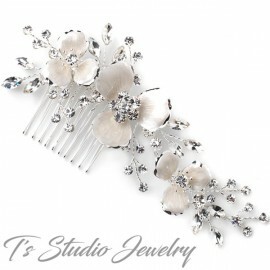 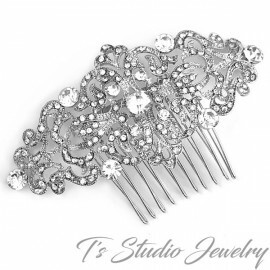 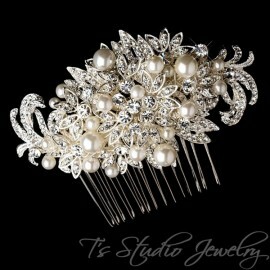 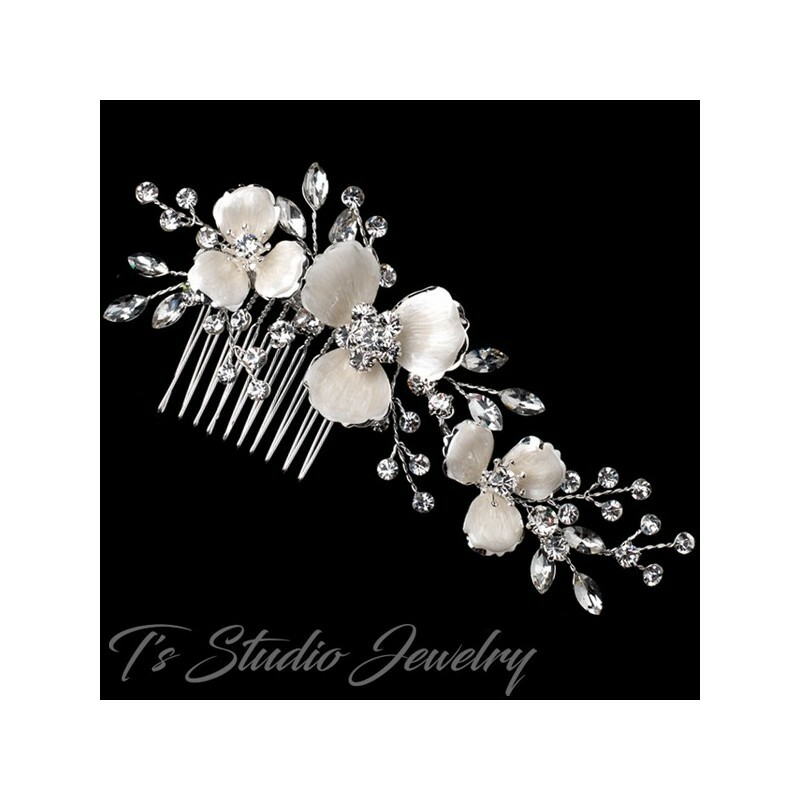 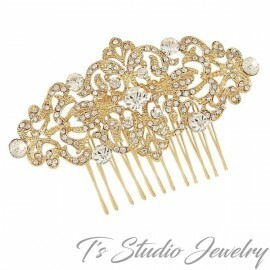 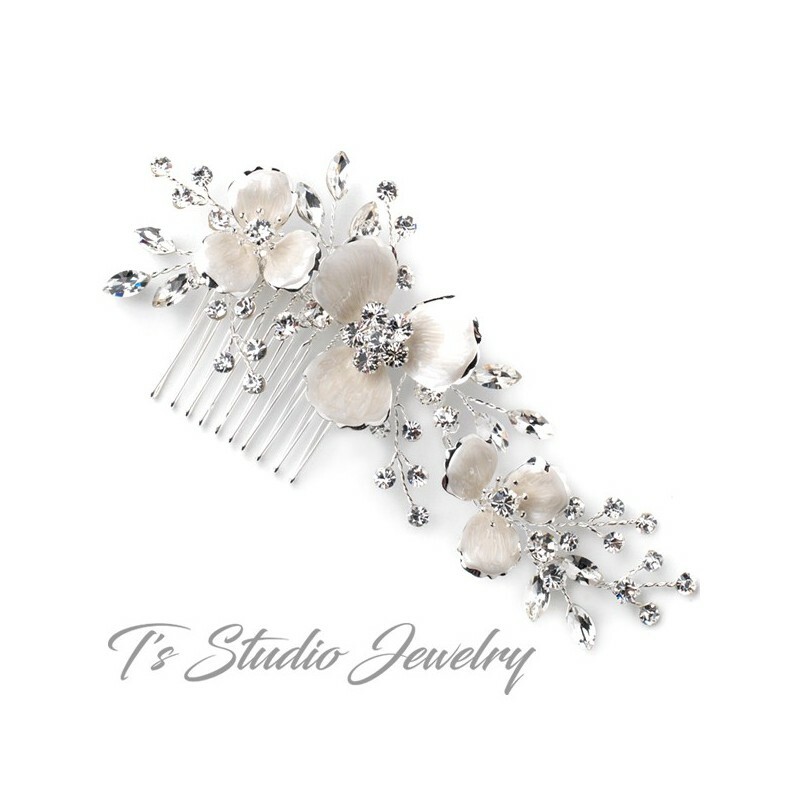 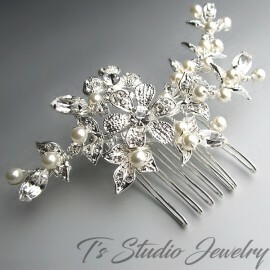 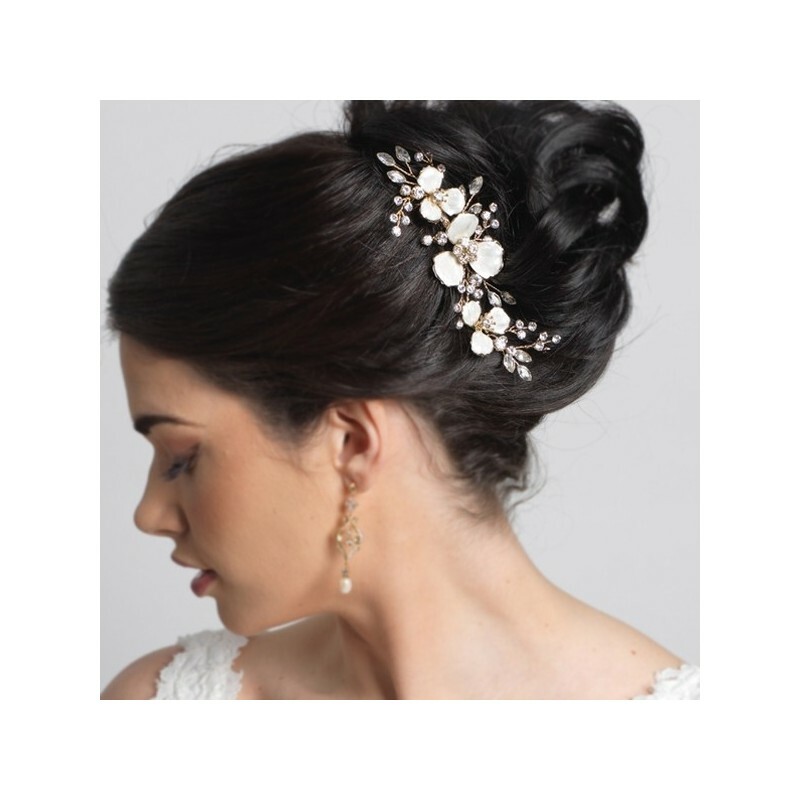 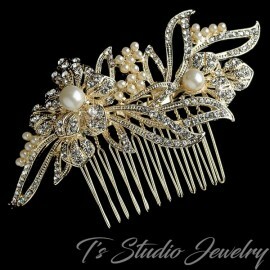 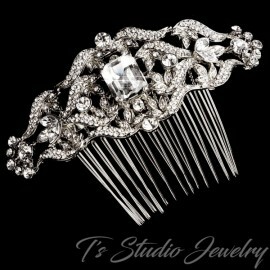 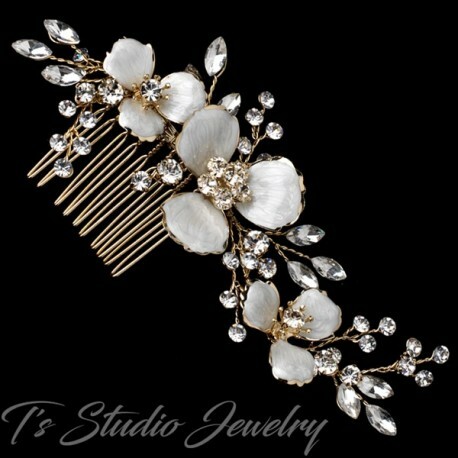 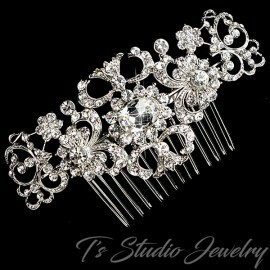 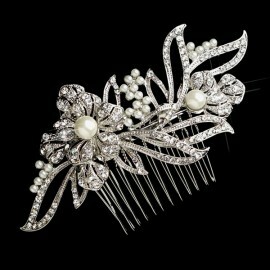 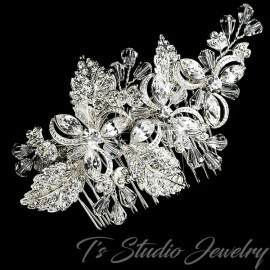 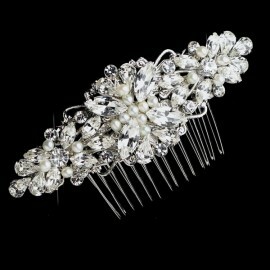 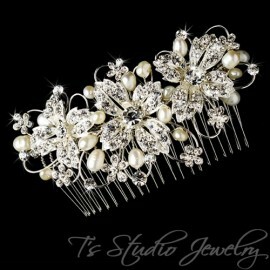 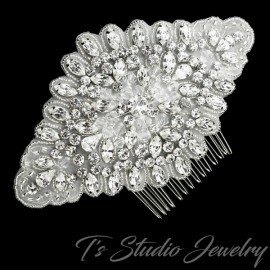 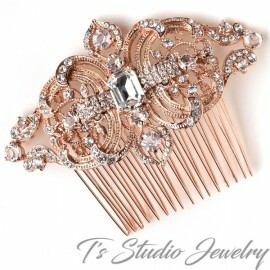 Elegance and classy, this beautiful bridal hair comb has enameled floral accents with sparkling clear rhinestones in your choice of a gold or silver setting. 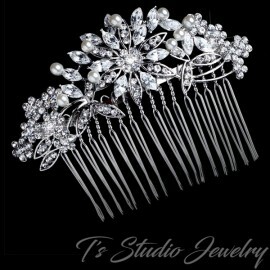 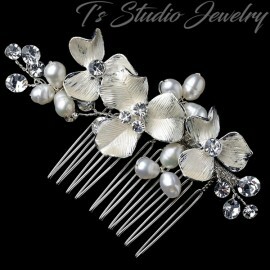 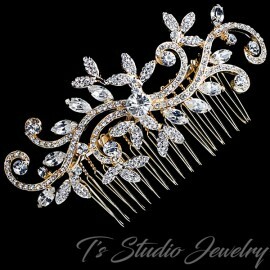 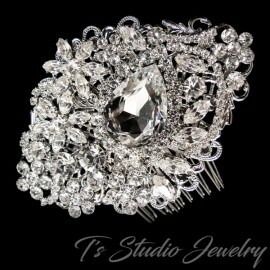 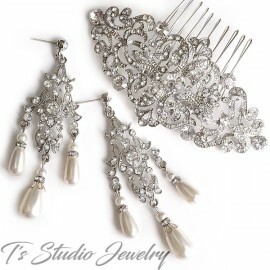 Appropriate for weddings, proms, homecomings or any elegant affairs! 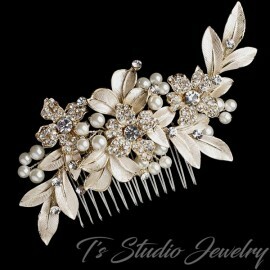 Measures 5 1/4" x 2"